In this year of double commemoration, the exceptional destinies of these statesmen will be associated through an exhibition thought at the time as an homage to two major figures of the Second World War, and as a way to discover the public and private aspects of these extraordinary personalities. Servicemen and politicians, they also were writers, orators and even, in Churchill’s case, a journalist and a painter. The intersecting paths of these major figures – both allies and enemy brothers – will be explored through objects, paintings, uniforms and archives, some of which hitherto unpublished, for the first time collected and displayed. A set of multimedia devices designed for the exhibition will reconstitute the military and historic context. This exhibition takes place within the framework of the 50th anniversary of the death of Sir Winston Churchill. 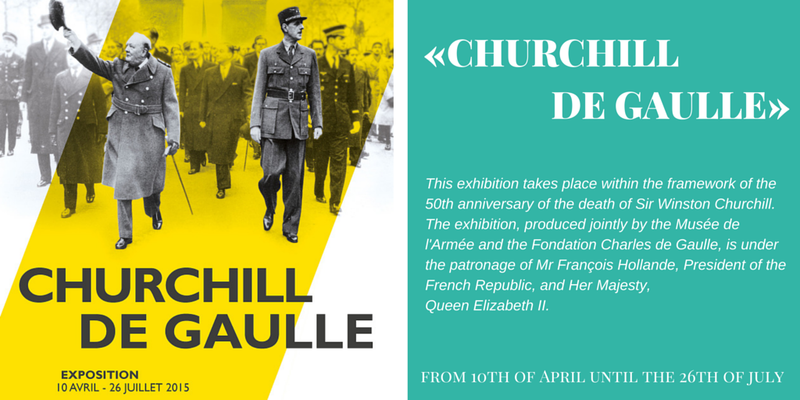 The exhibition, produced jointly by the Musée de l’Armée and the Fondation Charles de Gaulle, is under the patronage of Mr François Hollande, President of the French Republic, and Her Majesty, Queen Elizabeth II. New exhibition at Nausicaa – Ocean & Climate: Getting hot in here!